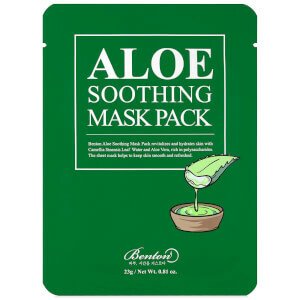 Revive and refresh the complexion with the Benton Aloe Soothing Mask Pack; a revitalising and hydrating sheet mask that instantly nourishes and deeply moisturises whilst calming irritated, dry and dull complexions. 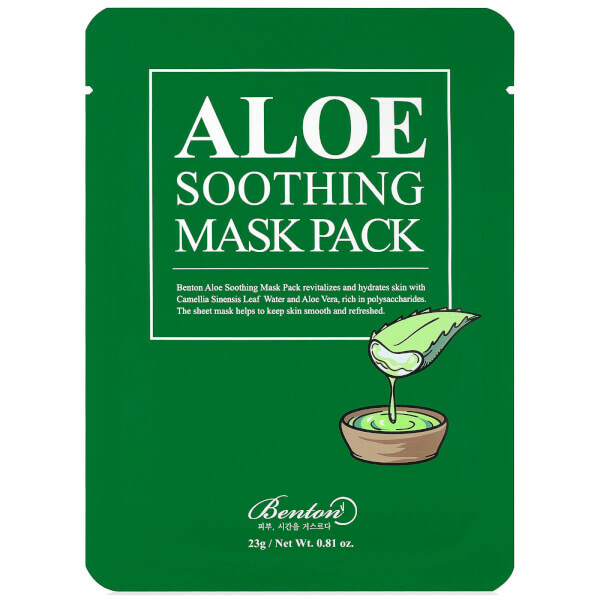 Packed with polysaccharides, the sheet mask is saturated in Aloe Vera-enriched essence for its capacity to achieve clear and soothed skin. Free from artificial fragrance and alcohol. After cleansing, prepare face with a skin toner. Open packaging and smooth mask onto face. After 10 to 20 minutes, remove mask and pat leftover essence gently into skin. Do not rinse.